Pacaya is by far the most popular volcano to climb in Guatemala, and not without good reason. The volcano is easy to climb and gives you the opportunity to see an active volcano. On clear days you can see the volcanos Agua, Fuego and Acatenango from the top. If you arrive at the top of the Pacaya you can smell the sulfur, feel the heat and you have a good chance to actually see lava. Pacaya rises to an elevation of 2,552 meters (8,373 ft). The total trip departing from Antigua to the Pacaya National Park and returning in the afternoon takes approximately six hours. At the park you will meet your local guide to begin a one hour and a half hike up the volcano, where you can see the results of recent eruptions and experience incredible views of the country side. Monterrico is located on the Pacific coast of Guatemala. It is known for its volcanic black sand beaches. 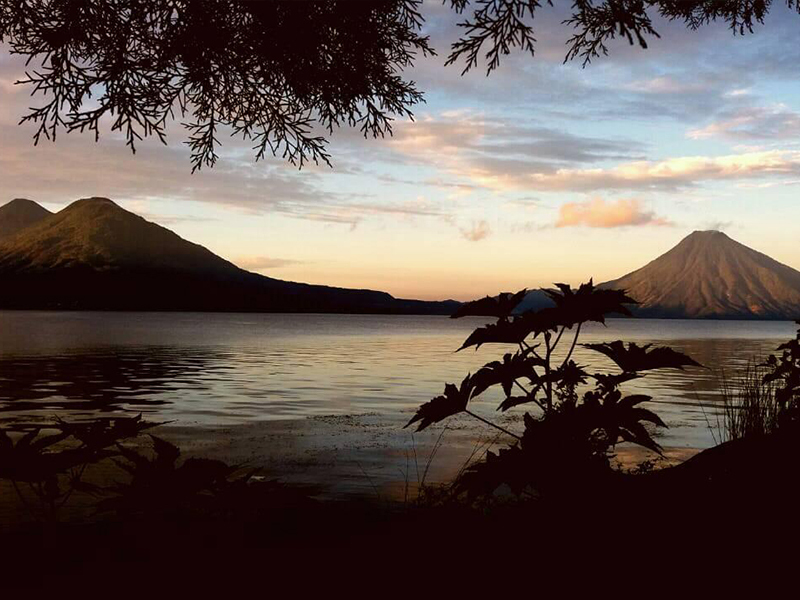 By far it is the most popular beach destination in Guatemala and the little town offers several hotels and restaurants. To get to the town, visitors leave their cars in a parking lot and take a boat for a short ride through mangroves along the Chiquimulilla Canal. Monterrico is a great place to relax, eat fresh seafood and of course swim in the ocean. The Monterrico Natural Reserve includes mangrove swamps and lagoons. These areas are great places for bird watching. The park also has a center for protecting sea turtles and a small zoo featuring local animals. Famed as one of the most beautiful lakes in the world and surrounded by Maya villages. A shared shuttle from Antigua Guatemala takes you through the mountainous roads of the Guatemalan highlands to the shores of Lake Atitlan. Boat tour visiting two Mayan villages located around the lake; enjoy the incredible view of the Lake with three volcanoes around it. Two and a half hours each way -pending traffic, we recommend taking cash because only a few places accept credit or debit card. Site where was discovered the Mayan sacred text called “The Popol Vuh” and a church where Mayan shamans and Catholic priests coexist. Visit the open air market, filled with locally made products like ceramic, textiles, wood carvings and handmade goods. A shared shuttle takes you from Antigua through the mountainous rods of the Guatemalan highlands to Chichicastenango. Explore the market, cemetery and church on your own. Trio available only Thursdays and Sundays (Day of the market) take cash because only a few places accept credit or debit card. 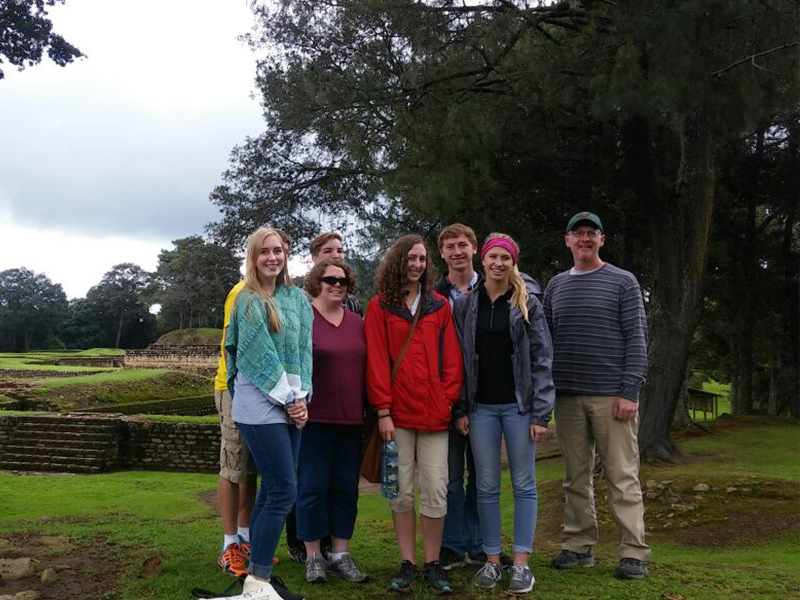 This post-classic site was where the Spanish conquerors established their first capital in Guatemala in 1524. Iximché is a pre-Columbian Mayan site in the Western Highlands of Guatemala. Located in Tecpan, it is known as the last capital city of the Mayas. The architecture of the site includes a number of pyramid-temples, palaces and two Mesoamerican ballcourts. Excavators uncovered the poorly preserved remains of painted murals on some of the buildings and ample evidence of human sacrifice. The ruins of Iximché were declared a Guatemalan National Monument in the 1960s. The site has a small museum which displays examples of Mayan sculptures and ceramics. The tour of the local chocolate Factory is a favorite of the students. At the factory you will have the opportunity to make a chocolate drink by yourself. Also, you be able to buy some chocolate to take home. 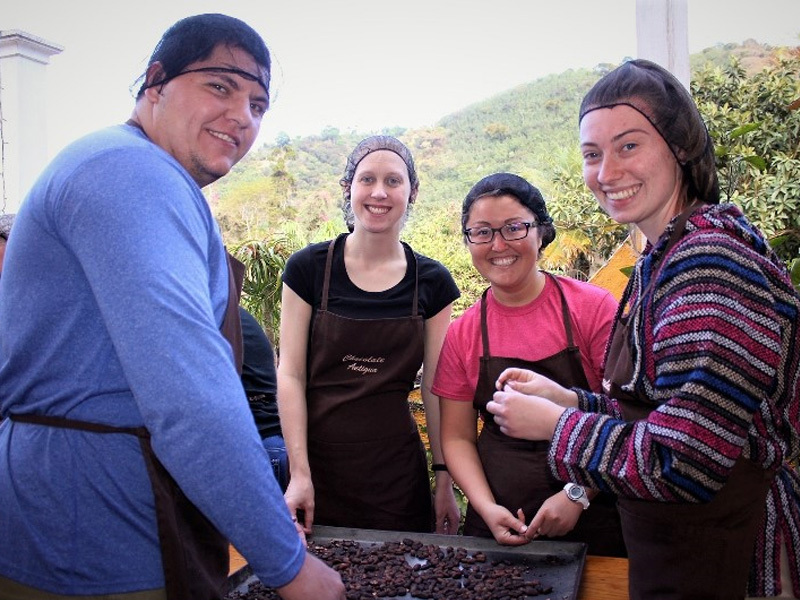 You will learn the history, cultivation and processing of coffee on a farm. You will start with a walk through the nursery and the coffee plantation and then you will continue to the wet milling and drying patios followed by the dry processing and manual sorting areas. You will finish your tour at the roasting and packing area where the coffee cupping will take place. 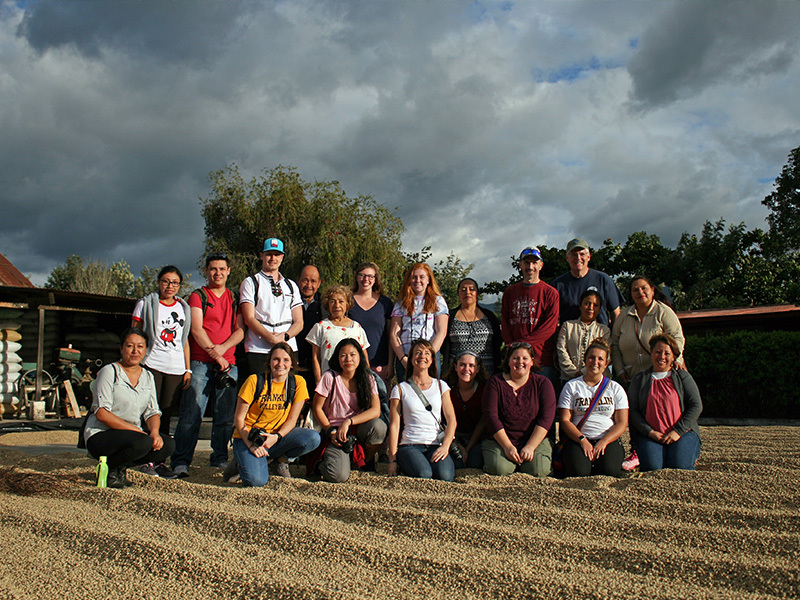 The tour ends sipping a cup of the best coffee in the world, which is produced in Antigua Guatemala. Cerro de la Cruz is a hill that offers a spectacular view of Antigua and its surroundings. In the hills north of Antigua is the Cerro de la Cruz, a large cross constructed on a hillside overlooking Antigua. This giant stone cross offers sweeping views south over the city with Agua Volcano in the background. You can truly get an amazing view of the city from this vantage point. This town is known for its weavers and textiles. Mayan women in the area use a backstrap loom to weave traditional patterns. 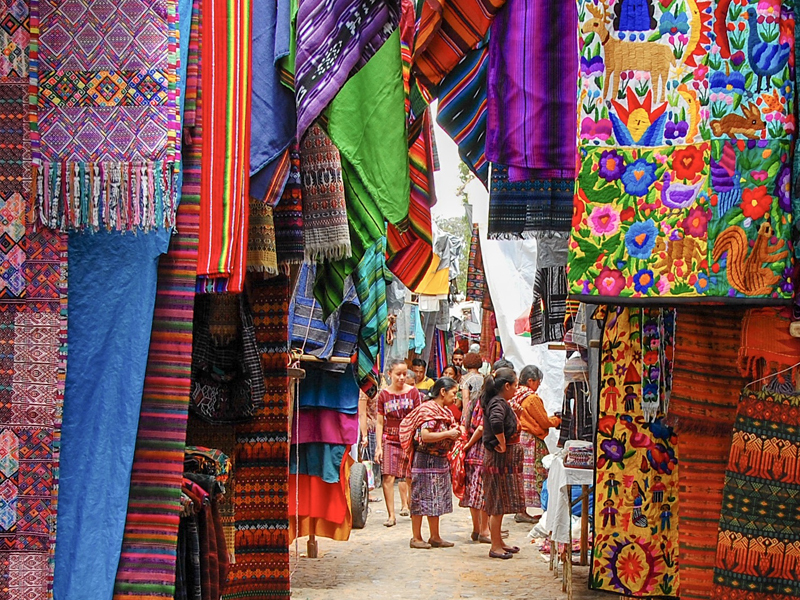 There are markets on the square that sell weavings and other crafts. Several of the women have their looms set up and will demonstrate their skills. 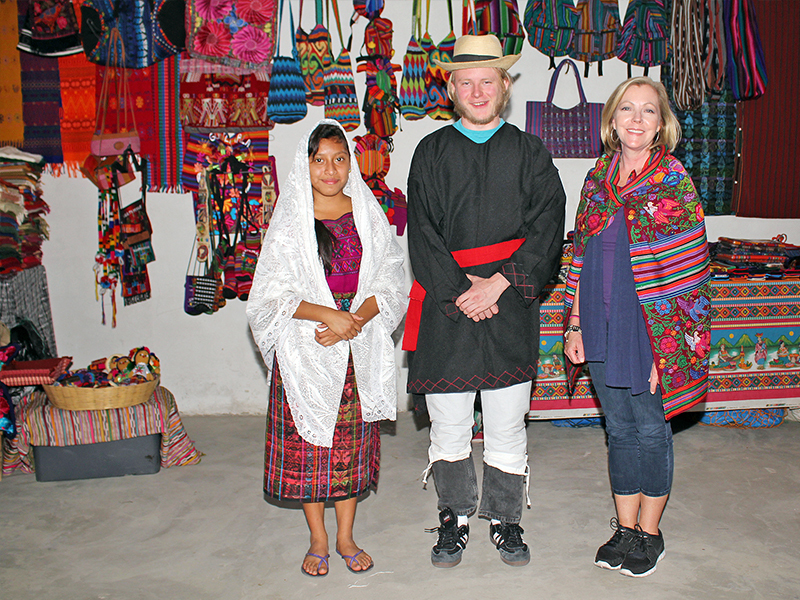 Visit a local women’s cooperative in an indigenous town to try double-sided weaving, practice making tortillas, and prepare a Guatemalan traditional dish called Pepian. The woman will explain to you the traditional customs of the town and show you how to weave the typical dress of men and woman on a backstrap loom. You will also get an insight on a traditional wedding ceremony. 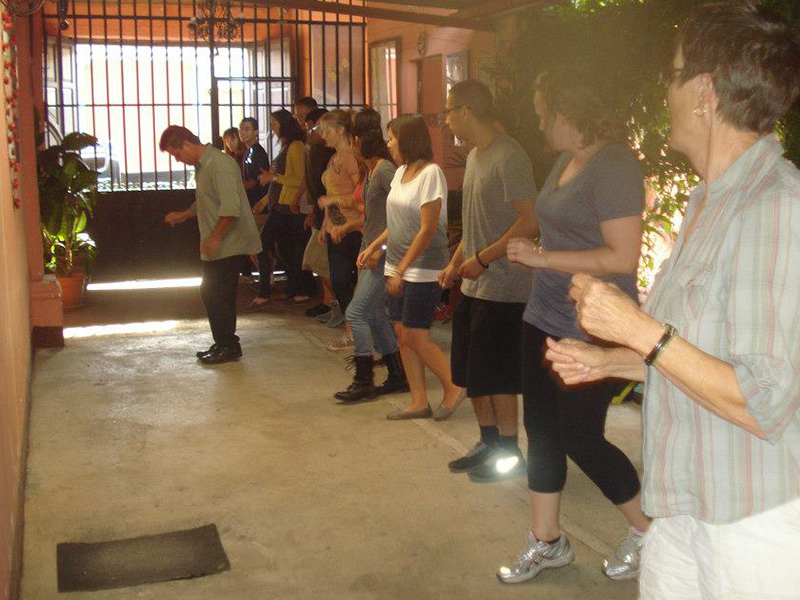 You cannot come to Guatemala without experiencing the enjoy and excitement of Salsa. One afternoon you most attend your first Salsa class. Mayan fire ceremonies are major events, lasting from 2-4 hours, not counting the set-up time. 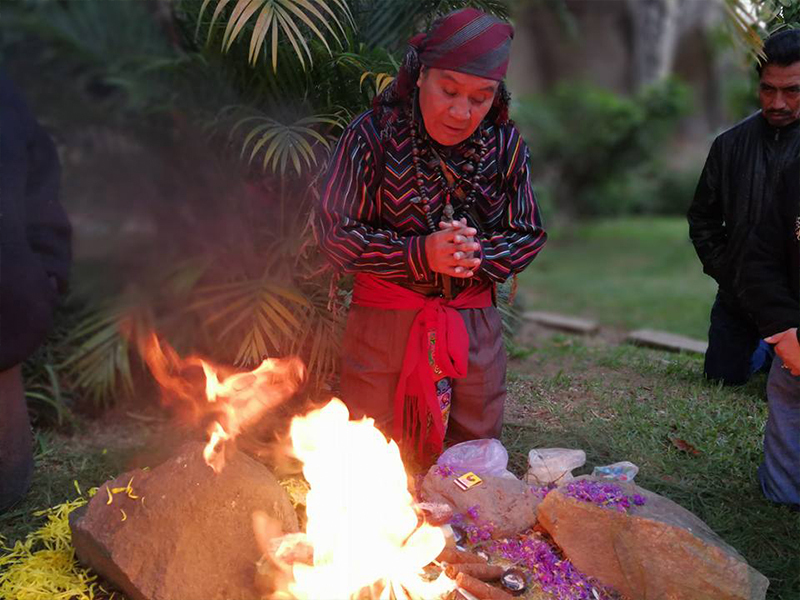 The ceremony begins by invoking the following, the four directions, the ancestors, other living Maya clans, places in nature, the elements and sometimes every conceivable spirit guide in the universe, regardless of faith, culture or location. Sometimes the tone of the ceremony is somber, other times it may be fun-filled and light-hearder. This depends on who is the ceremonial leader, the group of participants and the intention for the ceremony. Note: PLFM Spanish School request minimum 4 students to run the trips, if we don’t complete with the minimum we can recommend you a Travel Agency or give you another solution such as a private tour if you prefer. 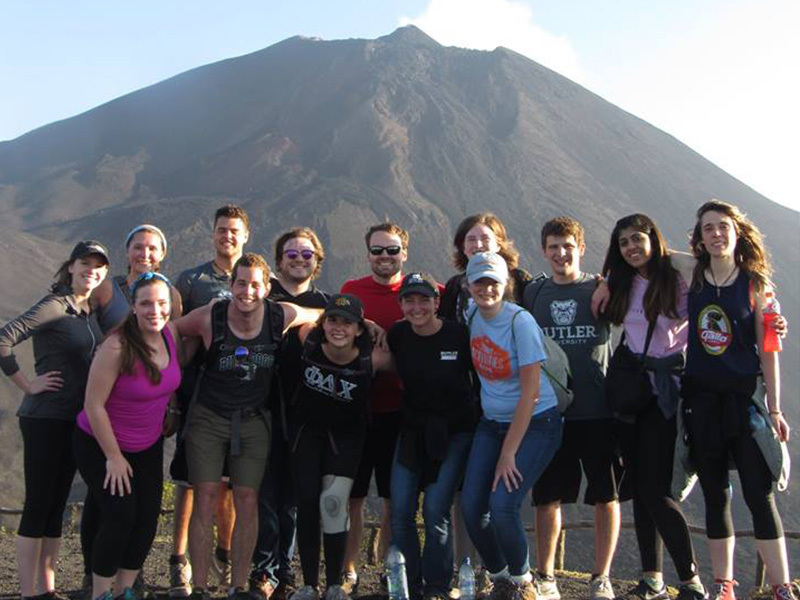 Founded in 1969, we are the first Spanish School in Antigua Guatemala. We are the creators of the “one on one program” for teachers and students. 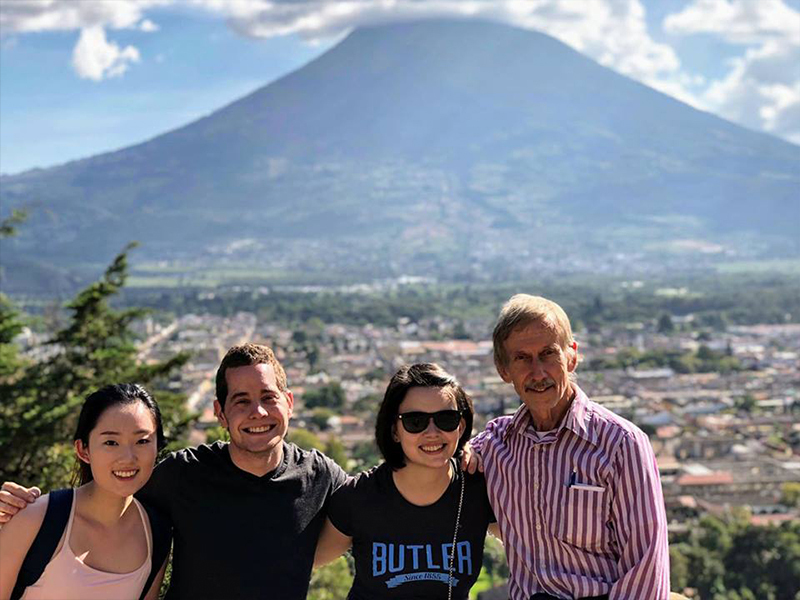 With over 49 years of experience, we are definitely the best option to learn Spanish in Antigua Guatemala. 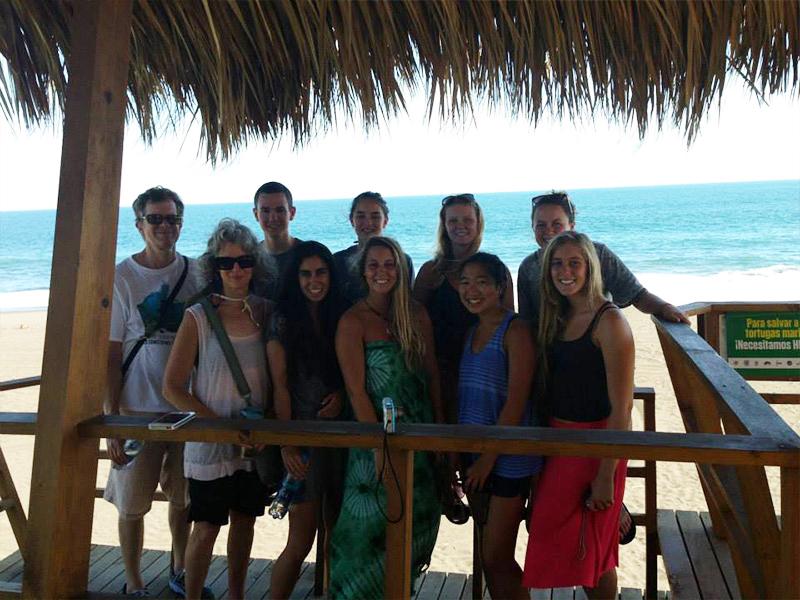 Tell everybody about your experience with PLFM Spanish School!